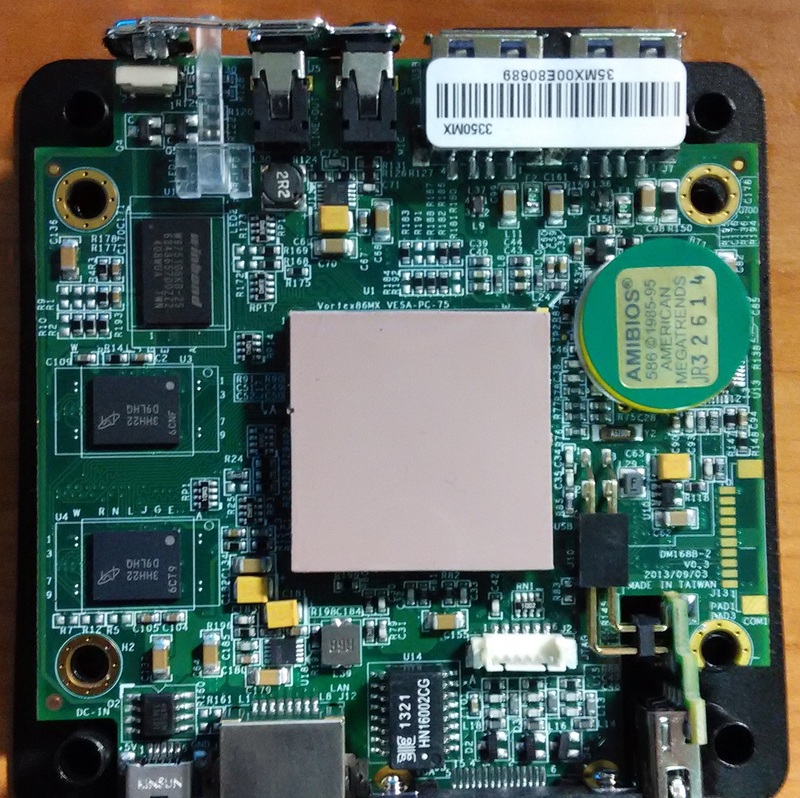 I have long been looking for a cheap single board computer (SBC) which has similar dimensions to the Raspberry Pi but with an x86 processor. Believe it or not, such a machine is rare as most SBCs on the market only have ARM processors. Although a quick Google search reveals many such boards, most are either too expensive ($200 and above), too big (mini-ITX boards) or simply out of production. A few weeks ago I achieved some success when I came cross the eBox 3350MX which is advertised as a mini-x86 compact PC. It can be found on eBay as well as from other embedded component manufacturers such as RoboSavvy. I spent some time playing around with the box and this article will share some of my findings. The box comes in various configurations, with optional serial ports and SATA connectors. Of note is the auto power on feature (model 3350MX-AP) which allows the box to turn on immediately upon power being applied. Without this feature, you would need to manually press the power button to switch the box on. Mine is the cheapest model without auto power on, serial ports or SATA support which cost me around 150 SGD including of shipping costs. The box has 512MB RAM (366MHz FSB), 3 USB ports, 1 VGA port, a 100Mbps LAN port and a SD-card slot acting as the hard disk drive. There is a power indicator LED on the board which also doubles as the disk activity indicator. There is no onboard PC speaker on this board, even though one is reported by the BIOS. The PC speaker output is also not mixed with the sound card output, unlike most laptops. As a result, even with a speaker connected to the audio output, you will hear no POST beep, and games that utilizes the PC speaker will not be able to produce any sounds when run in pure DOS mode. There is no reset button on this box. To reset the PC, you must hold the power button for 10 seconds and release it. Or simply disconnect, reconnect the power supply and press the power button. As expected, there is no PC speaker. There are reserved connectors for the serial ports (COM1 and COM3) on both sides of the board. I could not locate the CMOS battery but the date and other CMOS settings seem to be saved properly. 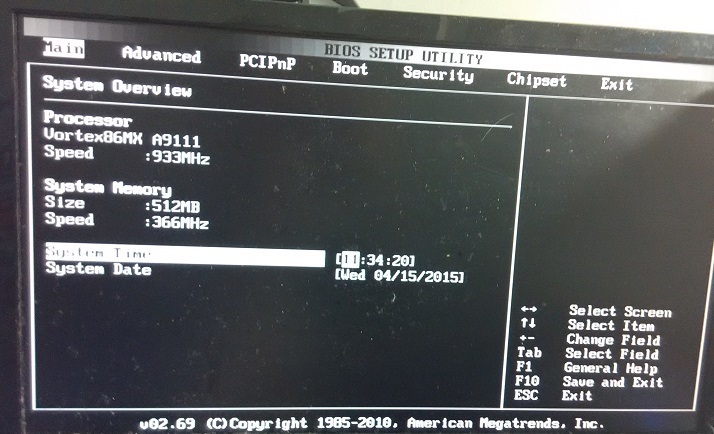 The BIOS does not seem to support USB floppy disk drives. And although it supports USB hubs, it does not seem to like to see USB keyboards and mice being plugged to the same hub, which will result in either device not detected. If this is the case for you, try to plug your input devices to separate USB ports instead. And while larger thumb drives will be detected as IDE hard disks and work without issues, thumb drives smaller than 2GB may be detected as floppy drives, and not as IDE hard drives, making it impossible to be used under DOS mode. 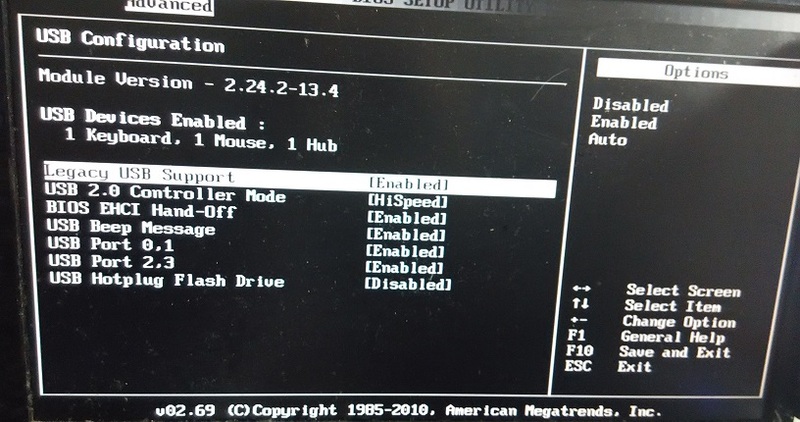 Sometimes, especially after a few minutes of being idle while in the BIOS screen, USB keyboards suddenly become unusable, forcing me to reset the system before the keyboard can be used again. 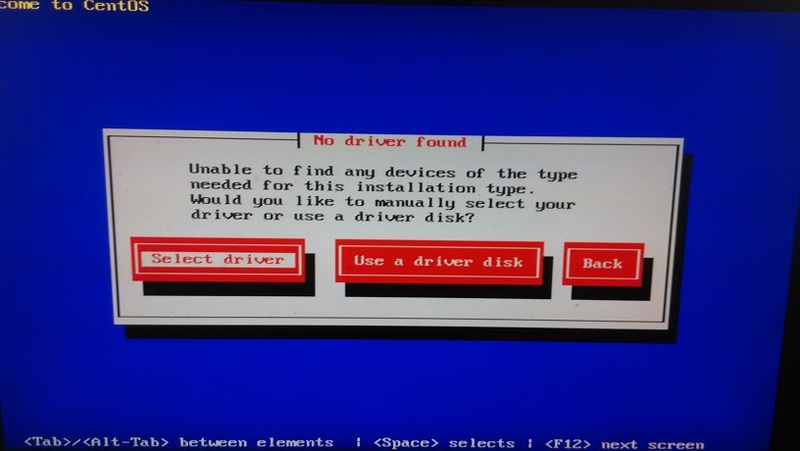 During my test with various Linux live CDs, I also experienced weird error messages such as ‘USB device not accepting new address’ when plugging in new USB drives. I guess this is most probably a result of hardware failure rather than a Linux driver or kernel bug. USB has an over-current protection, which gets triggered when power consumption from the port is too high, and perhaps the board sometimes does not provide enough current on its USB ports. The VGA output also does not seem to be very sharp, perhaps due to the limitation of the Vortex86 processor. 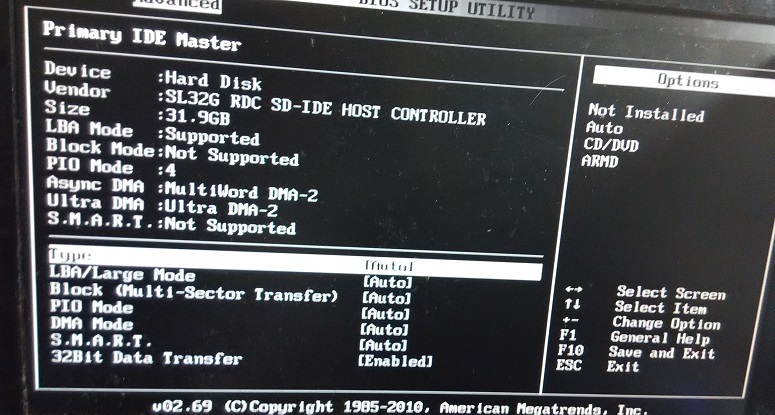 My first attempt is to try to run DOS on this board. 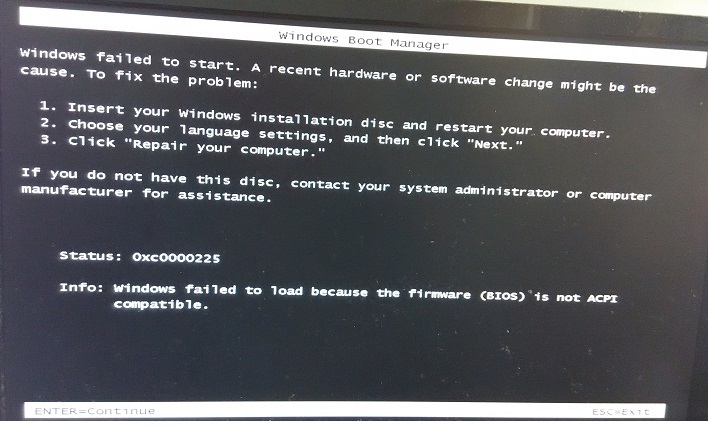 With no floppy or CD-ROM drives, you will need a tool such as Rufus to make a bootable USB stick. Although Rufus is bundled with FreeDOS images, you can also use MS-DOS/Windows 9x disk images downloadable from here and burn them as DD images. As expected, the processor is recognized as a 80586, albeit at only 733 MHz speed. 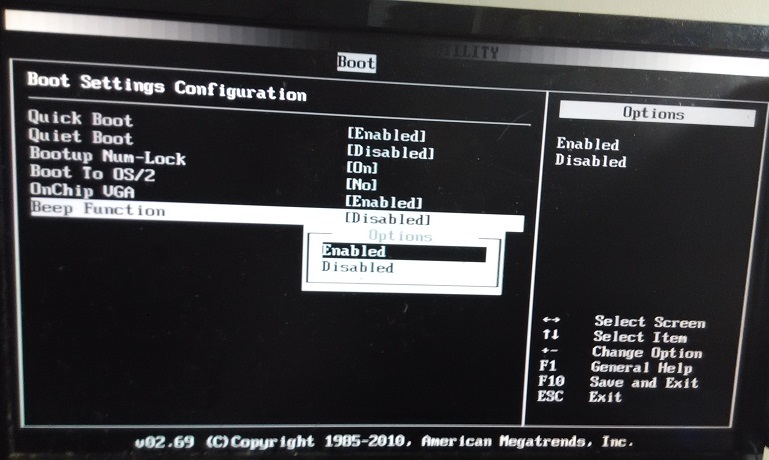 The board reports no serial ports or parallel ports, so it is likely that even if the connector is soldered, the reserved COM1 and COM3 port will still be unusable without a BIOS update. My next test is to try to play a MPEG file from DOS on this board using QuickView, my favourite DOS video player. As the onboard sound driver is Realtek-compatible, by using the PCI sound driver provided by QuickView, the box is able to play an MPEG file under pure DOS mode smoothly, using a cheap $2 mini-speaker purchased from eBay connected to the audio output port. Unfortunately, the onboard sound card does not have legacy Sound Blaster support so playing vintage DOS games with sound is out of the question. 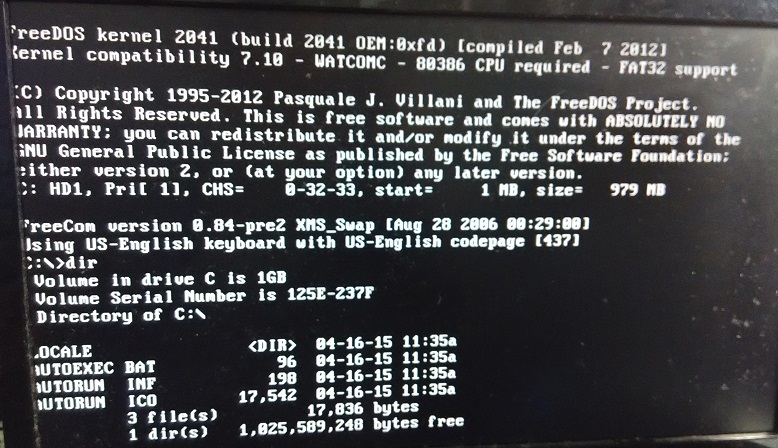 The network card is an RDC PCI Fast Ethernet Adapter which very likely has no support for DOS, so browsing the Internet using Arachne using a DOS packet driver is also not possible. 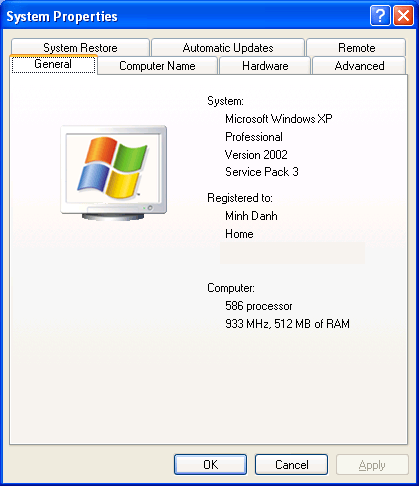 In my experiments, Windows XP runs quite fast on this board and many common applications such as Microsoft Office, Visual Studio 6.0 or .NET 4.0 applications run fine without any issues. However, due to the lack of support for advanced instructions other than MMX, many modern browsers and multimedia applications will not work properly. The last version of Firefox that can run is Firefox 3.53 whereas K-Lite Codecs Pack 2.8 is the last version that will still work if you want to play music or videos. Even with the correct version of K-lite, playing certain videos with DivX or Xvid codecs will just crash the player. DOSBox could start but is very slow and consumes almost 100% CPU. I must say it has been a while since I last saw this screen. 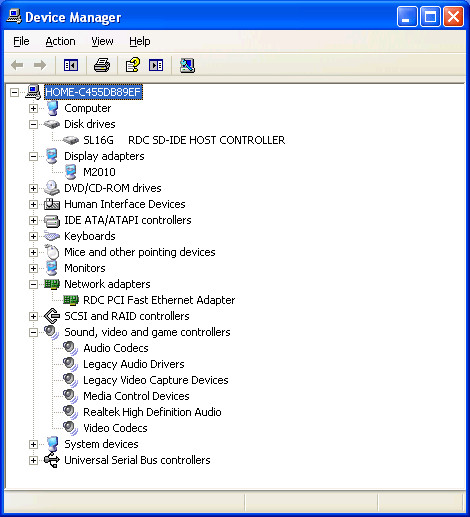 Modern computers support ACPI allowing the OS to turn it off automatically without the need to use the power button. This board does not, however, and you will need to disconnect the power or to press and hold the power button to switch it off. 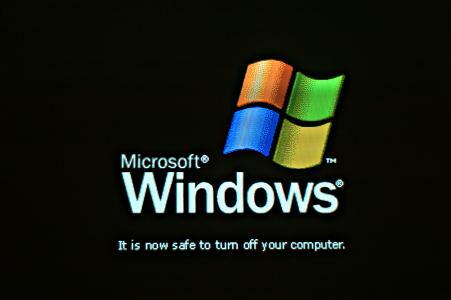 Windows 8 is out of the question, as it requires the processor to support PAE/NX, in addition to ACPI. Windows Server 2003 x86 setup could go as far as the license agreement screen, but I did not have time to test further. Ubuntu 10.04 is the officially supported Linux distribution for this box as Ubuntu versions 11.04 and above requires 1GB of RAM. Refer to this guide by RoboSavvy for a detailed step-by-step instructions. The steps basically include installing Ubuntu from the Live CD and upgrading the kernel for Ethernet support as the default installation only has support for the audio chipset. It is certainly possible to custom-build a Linux release that only contains the drivers required for this board. I leave this as an exercise for more adventurous readers to try out. Having spent almost a week on the 3350MX compact x86 PC, I must say that it certainly has its advantage as a good backup device to run old applications, to troubleshoot systems, or just to play around with older OSes. However, the low configuration and the high demands for system resources of modern applications make it infeasible for this box to be used for daily computing tasks. The lack of Linux support and the high selling price is also pathetic. I would therefore expect the manufacturer to lower the price while at the same time improving the hardware configuration to at least a Pentium processor before the 3350MX can be as popular as the Raspberry Pi in the single board computer market. A tough developer who likes to work on just about anything, from software development to electronics, and share his knowledge with the rest of the world. You mentioned that you could not locate them bios battery. Take a look at your main board pic. 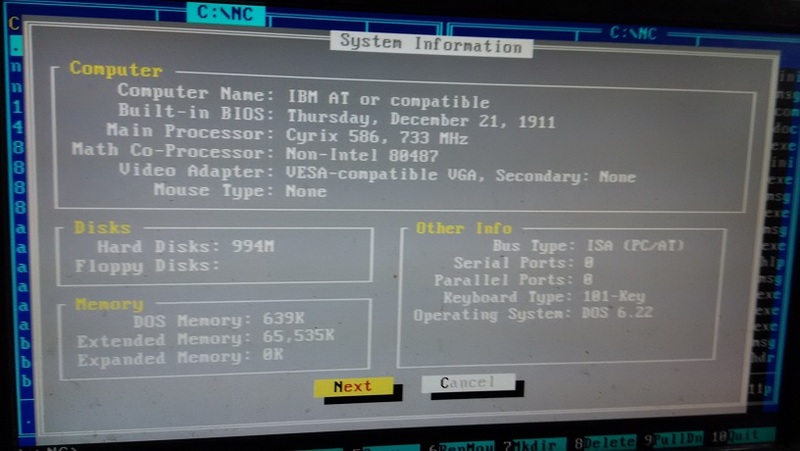 The round yellow thing that says ami bios has a part label on the pcb of BT1. That’s your bios battery. Copyright © 2019 ToughDev. All rights reserved.